Focused on the future, Georgina Council has endorsed the 2019 Budget that includes a 2.6 per cent increase for the 2019 tax levy budget with an additional one per cent increase for contributions to capital reserves for a total of 3.6 per cent. Council will ratify the budget on Feb. 13. Council approved two major capital projects in the 2019 Budget, the Multi-use Recreation Complex (MURC) and the new Civic Centre. Anticipated construction completion for both the MURC and Civic Centre is 2021/2022. Council also endorsed the 2019 water and wastewater budget, which will see an increase of 7.2 per cent or $23.17 for the average quarterly billing. The Town promoted a number of opportunities to encourage public engagement and receive resident input into the 2019 Budget including an online and hard-copy survey, a dedicated email and five public budget consultation sessions. 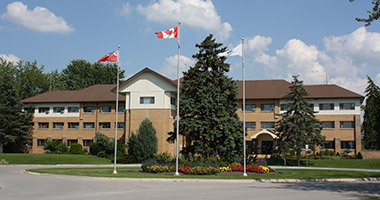 Visit georgina.ca/budget to learn more.